Managing a training center, you must have suffered from the operational hassle and sales challenges you have to face every day. The core of the training industry is the value of learning; however, the increasing need for administrative, operational, and sales tasks makes it harder to give full attention to that core value. If you are tired of having to wear multiple hats and do it all, then you need to start using CRM now to enjoy an effective simplified workflow where your customer service, quality, and sales levels will witness a remarkable improvement. Here are 6 of the various benefits your training entity will get by using CRM. The cost of adopting a new CRM software is not only about the monthly subscription your entity pays, but also about the needed time and resources to adapt to it. Here are some good news about CRM, because we all hate data entry, CRM will indeed save your time and effort because it is integrable with many web-based services like Gmail, Yahoo! Get Responses, ininbox. JotForm, and Formstack. One of the amazing features of CRM is the ability to import your existing leads lists, your email addressee books, email marketing lists, and your linkedIn contacts in a couple of clicks, which eliminates data entry efforts and mistakes regarding this process. Another feature is the integration with Google Calendars, which allows instant import of entries. CRM allows you to tag your contacts with words that help you categorize them, which makes your messages more relevant to their recipients. 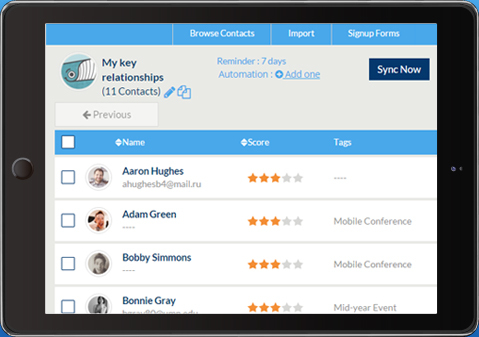 This tag feature helps you search your contacts quickly and easily, customize your recipient lists easily, and focus your efforts on specific client segments. Do you want to spread the word about your offers? Then, the e-mail marketing feature is a vital one for your training entity. It is the key player to keep people engaged and the easiest way to announce new services and courses. It lets people remember you continuously through sending periodic newsletters/occasional greetings. Besides, the CRM software is inetgrable with online marketing tools like MailChimp, Constant Contact, and Active Campaign, which centralizes your email marketing efforts and merges your databases well. This is the tool to keep your entity present in such a competitive market. When announcing a new course or event, some people tend to slack when it comes to calling to get more details. The web forms feature makes it easy for people to request more information or register through filling an online application form without exerting much effort. This is actually beneficial to your entity as it enriches your leads database, saves you the time to manually enter the data, and saves you the time of receiving a large number of calls. Another application of this feature is managing your attendance lists. This is vital for both documentation and analysis as it helps you in analyzing the performance of different topics/courses in the market and the interests of your usual customers. A training entity must keep its calendar and tasks organized. CRM also works as a personal secretary to help you manage and track your tasks. I know a training entity that had 2 confirmed trainings on the same day. They managed to plan it well, design a valuable program, and find excellent trainers. Only 48 hours prior the events, when they were packing, they discovered that they missed a small detail which is the fact that they only own 1 set and both trainings must have this game. Imagine how hard it is to deal with such a situation where importing a new set would take 1 month. They had to search for a set to rent from another training entity regardless of how it will cost them, just to save the day. Can you imagine how this small detail could affect their reputation among training entities and cost them more money than planned? Having a unified online calendar that is accessible by all concerned parties makes it easier to coordinate the timing of courses and allocate resources accordingly. It is also a good way to avoid scheduling courses that are under or over the entity’s capacity. 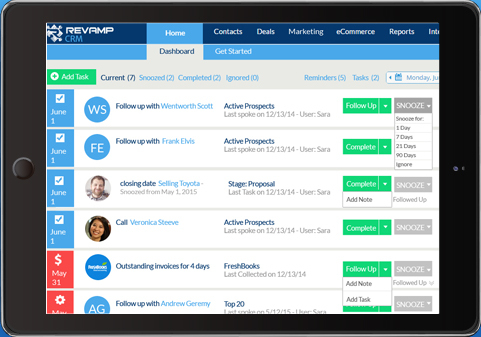 The functional thing about a CRM software, compared to a normal online calendar, is that it merges the calendar with all tasks. You can easily add a task and relate it to an event or a customer and the software will ensure you never lose a task or miss a deadline. Such coordination will keep your trainers, logistics officers, and management aligned; say goodbye to missed tasks and never worry about the operations officer who forgets to bring enough materials. Since you are in the field of training, you probably passed through the pain of losing important data like course materials or client base. Losing your database because of a computer crash is something that will cost your entity a lot; we all know the time it takes to build an organic database and the cost it requires to buy an existing one. Besides, it is an easy task to track each customer and the courses he or she attended and you can easily attach course materials, application forms, and evaluation forms to each contact. An entity cannot bear redeveloping its lost training materials and programs; that is why you must keep your course materials safe. 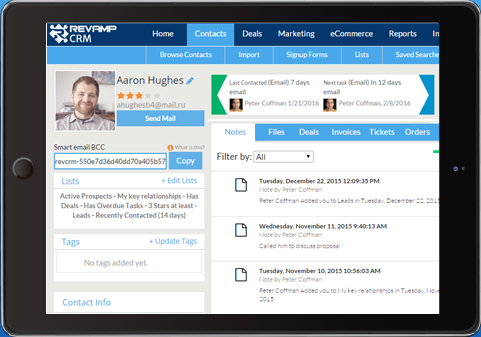 Having a CRM software will ensure you the peace of mind when it comes to your data. The online storage feature allows you to keep your data safe and reach it easily; all you need is an Internet connection. By having a reliable CRM software, you do not need to worry about wasting time in analyzing and preparing reports; and you do not have to wait till someone finishes the report for you. Reports are now a click away. Who wants to cancel an event because it was not fully reserved? Avoid this by focusing on what your clients need. This helpful feature will definitely improve your training plan and decisions because you will only provide the programs that are in demand. 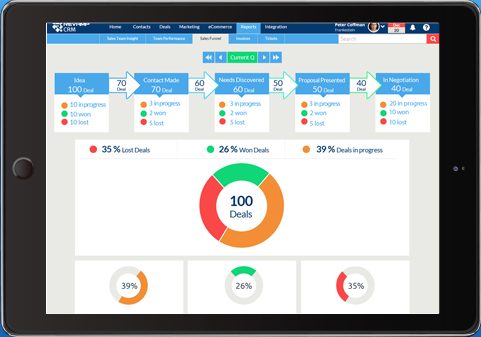 Besides, the CRM software turns reports about sales, performance, and productivity into easy visual ones will make it easier for you to monitor the performance of your entity. 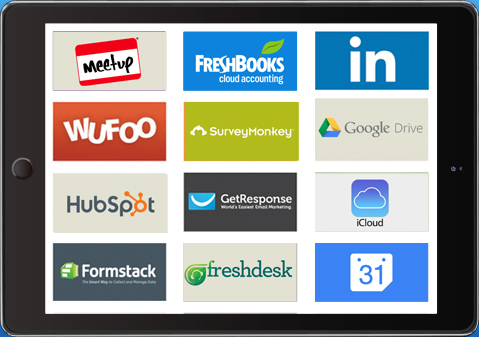 If you find this useful, why do not you start looking for the right CRM software for your business? NextNonprofit CRM: How to choose the best for your Charity?